An apartment manager who attempted to ban weapons throughout a Colorado apartment complex has been ordered to withdraw the ban. The manager had sent notice to all residents explaining that the display, use or possession of firearms and weapons anywhere on the property would be prohibited, according to a report. Residents were given until October 1 to comply or move, despite the term of their existing leases, which did not restrict guns. A resident took his case to the court of public opinion, granting interviews and sharing the gun ban notice with reporters. Gun control legislation has been front and center in Colorado, ever since a horrific mass shooting in a theater last year. Colorado also was the site of the Columbine High School massacre. Pushed by the state’s Governor, gun control legislation passed the state’s legislature and recently went into effect. Colorado gun owners now face stricter background checks and limits on ammunition. Shortly after the story aired on the news, the owner, the Douglas County Housing Partnership, held an emergency meeting and overturned the manager’s ban. On the other side of this issue, landlords have been held accountable for negligence when gun crime occurs on their properties. In some cities across the country, a landlord could face fines and lose their rental license if their tenants commit crimes. Despite the outcome in this case, rental property owners continue to have the right to restrict guns in their units. 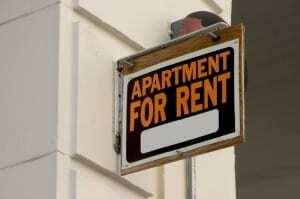 To affect a ban, however, the landlord should implement the policy with new leases and at renewal.